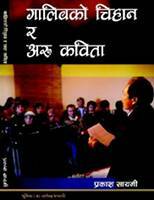 It is 2011, a year of milestones for Nepali literature. It represents, for one, the centenary of the romantic exuberance that blossomed in poetry at the hands of masters like Laxmi Prasad Devkota. It also marks the centenary of the nihilism that replaced an earlier tradition of spiritualism in Nepali poetry, which had its roots in Bhanubhakta Acharya, and to some extent Lekhanath Paudyal. 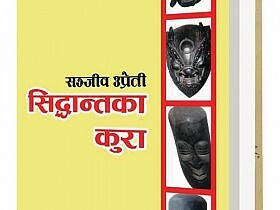 Of late, serious urges to anthologise generic creations with limits of period and epoch are being detected in Nepali literature. Not long after Momila edited selected Nepali poems, and Archana Thapa brought together female voices in anthologies, Prabhati Kiran has edited Samakalin Nepali Kathaharu, a collection of stories by contemporary writers, most of whom are in their early forties or younger. While, for instance, initiatives to collect women’s writing—specifically those of renowned authors—have been many, attempts to incorporate evolving and yet-to-be published authors have practically been nil. 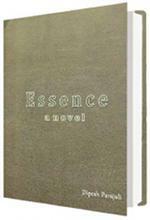 After his essay collection A Wonderer Within, writer Dipesh Parajuli has come up with his novel Essence , the success of which remains to be seen. The novel steers clear of the criticism of lacking linguistic and grammatical refinement—one most commonly received by Nepalis writing in English. This may set Parajuli apart from many who try for fiction in English, but the young writer, in his twenties as yet, has yet to innovate in the domains of narrative structure and choice of themes. At a time when there seems to be a torrent of travelogues in the Nepali literary arena, novelist Dhruba Chandra Gautam has added one more to the genre: Rustira Rumalida. Like his earlier works Ghadiharuko Deshma Samaya Khojdai and Germany: Naya Aanganma Paila Tekda, this work too chronicles the author’s experience abroad. Only this time, the accounts are of his travels in Russia. After his monumental History of Nepali Children’s Literature, author and researcher Pramod Pradhan has just come out with The History of Nepali Essays. Alongside the basic trends in different timeframes, the work makes an orderly presentation of different phases of the development of the essay as a genre. Ambitious from all angles—dimension, scope and comprehensiveness—the History academically endorses the essay as a genre and opens doors for further research and exploration in this genre that has lagged behind in Nepali literature as compared to verses, fictions and plays. 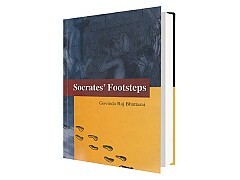 Govinda Raj Bhattarai’s masterpiece Sukaratka Paila has recently been translated into English, and published as Socrates’ Footsteps. In this sense, the content is not new, though a review of the translated version is pertinent for a few reasons. First, the author claims in foreword that the book "has been rendered into English with a view to promoting Nepali literature."